Would you field a weakened side against Liverpool on Sunday? Much of the talk after the game and I am sure in days to come will be of the comments made by Jose Mourinho in relation to Chelsea's trip to Anfield, just three days before the second leg of our Champions League semi final with Atletico Madrid. The manager revealed that Chelsea had requested with the Premier League and Liverpool Football Club to bring the game forward in assist our aim of reaching the final of the Champions League, giving us an additional day to recover and that was denied by both parties. As a result, Mourinho revealed he will speak with senior figures at Chelsea to decide to do what is best for the team and if we are to purely focus on winning the Champions League by fielding a weaker team on Sunday. Now it's obvious to me in light of the injuries to Petr Cech and John Terry that have forced them out for the rest of the season, that it is the way forward. We have to protect the interest of our club despite what anyone else thinks or believes. The Champions League is our only realistic chance of silverware this season after blowing the league in recent weeks so I am all for it. 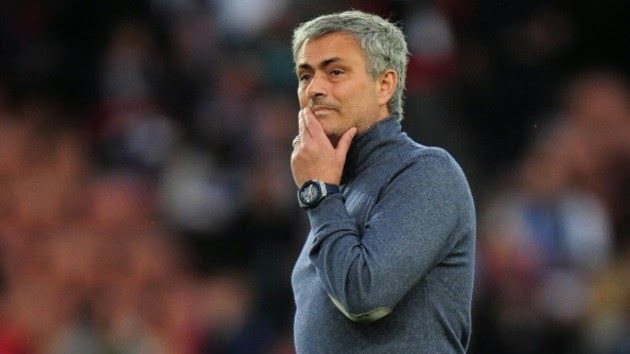 Jose Mourinho must decide on his starting eleven for Madrid and then work from that with those players who are not on his list to start the game at Liverpool. Let's not forget that we will have the likes of Mohamed Salah and Nemanja Matic to come back in and play after being cup tied in addition to Frank Lampard and Mikel who are suspended for the return leg. It would still be a strong eleven as I have predicted here, but not the strongest we would have available. What do you think to playing a weaker side against Liverpool? Do you agree and would you do it?